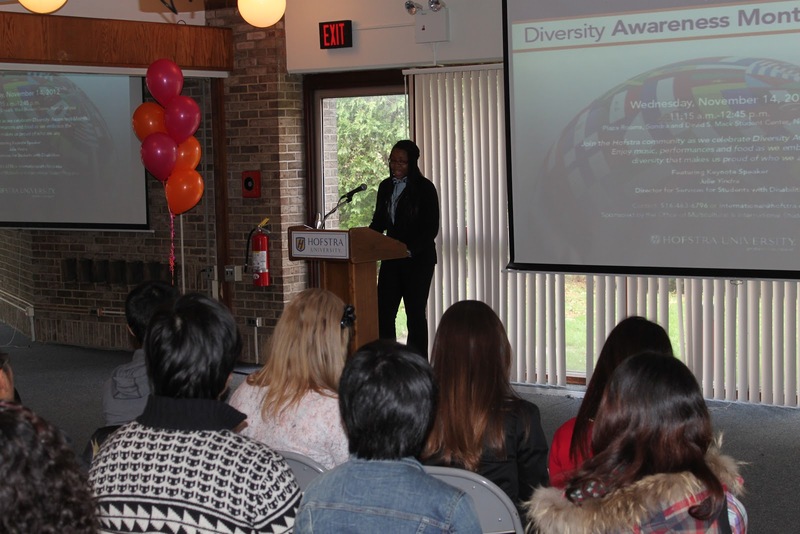 On Wednesday, November 14, the Office of Multicultural and International Student Programs celebrated Diversity Awareness Month with a reception highlighting and celebrating the diversity of our campus. 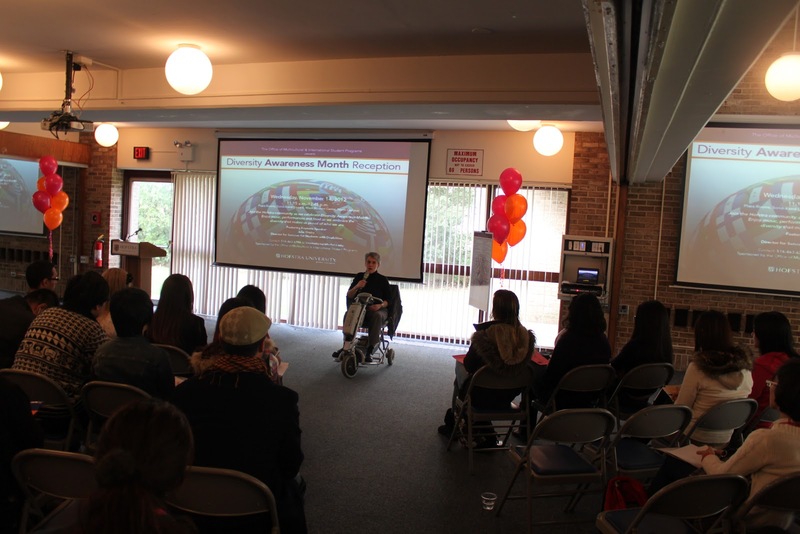 This year’s keynote Julie Yindra shared an enlightening speech with us about her perspective on diversity. Our talented Hofstra students added their creative insight by sharing their own personal poems and stories with the audience. See below for a beautiful poem entitled “Multicolored Lenses” written by Shannon Alomar, a second year student who wrote this poem specifically for the reception. 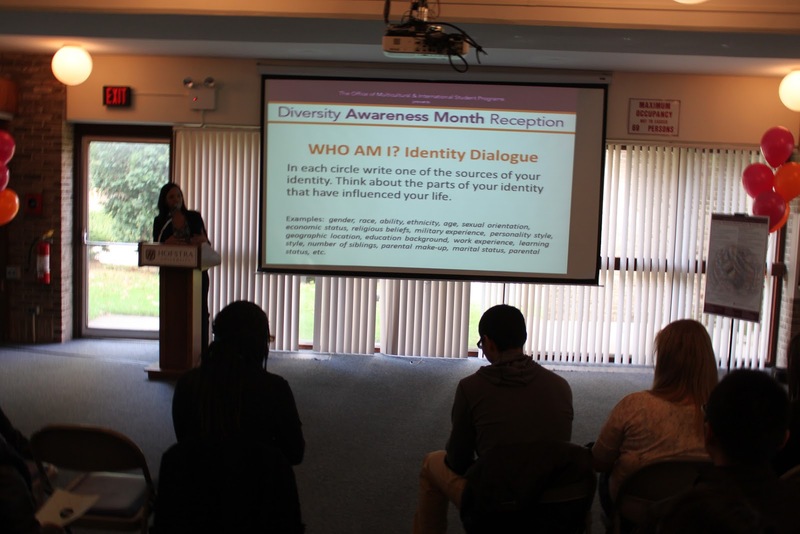 Check out our Diversity Awareness Month calendar for more events on how to get involved with this month's celebration. Shannon Alomar, a second year student majoring in Journalism, sharing her poem, "Multicultural Lenses"